There are millions of people with no access to or are simply undeserved due to the scarcity of telecommunications infrastructure that exists in the rural areas of the continent. RascomStar was incorporated and registered as a private company under the laws of Mauritius in 2002, with a commitment from our shareholders; LAIP (Libyan Africa Investment Portfolio) a leading investor in vital African infrastructure; Rascom (Regional African Satellite Communication Organization) an intergovernmental organization representing all African nations, and TAS (Thales Alenia Space) a world innovator in satellite and telecommunication systems, to deliver this stated vision. Our remit is to design, develop and facilitate the construction and deployment of a pan-African satellite telecommunications infrastructure, capable of extending voice and data services to off-the-grid regions on the continent. In so doing, we shall provide national and international connectivity to supplement existing license holding telecom operator networks, which are currently focused on serving the coastal regions,large cities and dense conurbation areas. 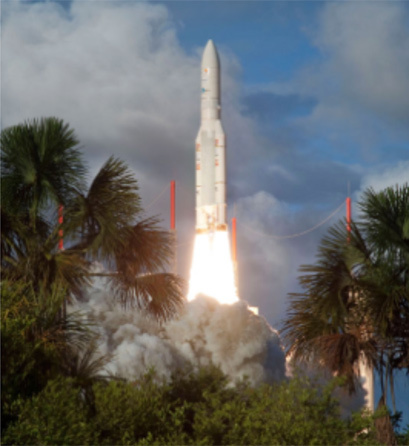 The contract to develop and build our first satellite (RQ1) was awarded to TAS ((Thales Alenia Space) in 2003 and was subsequently launched in 2007. The satellite suffered a propellant failure (helium leakage), which significantly reduced its life expectancy to three years. A second identical satellite (RQ1R) was successfully launched and deployed into service in 2010, providing the first pan-African satellite with coverage of the entire continent and off-shore islands with a single C-band and two Ku-band (North and South)footprints. All existing customers were switched to the new satellite without any service outage or inconvenience.